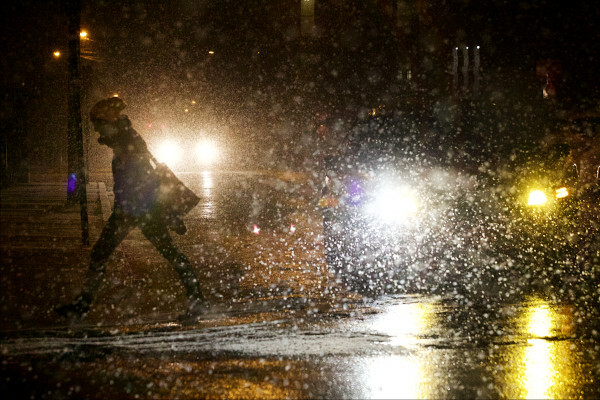 A woman crosses Pearl Street in Portland on Tuesday afternoon as the snow falls. Unity first responders came to the scene of a rollover crash on Route 137 near the Unity-Thorndike town line. 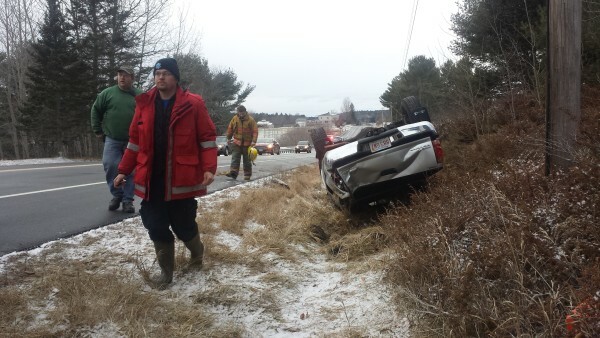 The driver skidded on black ice and flipped her truck into a ditch. The vehicle appeared to be destroyed, but the driver was able to crawl out the broken back window to safety and said that she was OK.
CARIBOU, Maine — Get the shovels and snowblowers ready. A snowstorm was expected to bring up to a foot of snow in several communities Tuesday night into Wednesday, according to the National Weather Service. The weather service issued a winter storm warning for much of the state, effective 5 p.m. Tuesday and lasting until 1 p.m. Wednesday. A winter weather advisory was posted for far southern, coastal and western counties. Heavy snow was expected to fall overnight Tuesday and into Wednesday. Portions of Piscataquis, Somerset, Penobscot and Aroostook counties could see up to a foot or more of fresh powder. Visibility was expected to be limited. Snow was expected to taper off by Wednesday afternoon, but gusty winds throughout Wednesday could produce blowing snow. Bangor and Brunswick announced Tuesday that a parking ban will be in effect overnight. By late afternoon Tuesday, there were many reports of vehicles sliding off roads as the snow moved in. The storm arrived as crews from Emera Maine continued to work restoring power to customers who lost electricity during a weekend rain and wind storm. About 560 customers remained without power at 9 p.m. Tuesday, most in Hancock County. All but a few CMP customers had their power restored Tuesday.